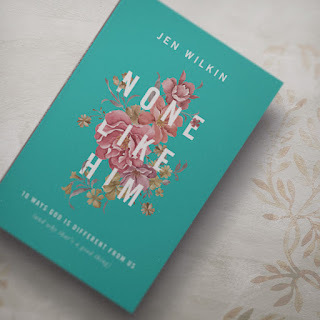 I recently received the book None Like Him by Jen Wilkin to review. I don’t usually read a lot of non-fiction, but the concept of this book really caught my attention. The subtitle alone says so much: 10 ways God is different from us (and why that’s a good thing). It was this subtitle that made me want to read this book. Obviously I know God is different from people (otherwise he wouldn’t be God), but it’s still a good reminder sometimes to read things like this. When the book arrived, I eagerly opened the packaging. My very first impression of the book was a good one. The cover is beautiful, with its calm green color and pink flowers weaving in and out of the title. And the content is even better than the cover. 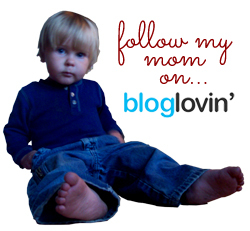 … Who has measured everything? God has. Who has measured God? No one has. How beautifully basic is that? I think that one quote is a great summation of the rest of the book. Ms. Wilkin does a phenomenal job of taking the qualities of God (listed above) and making them easy to understand. It’s a wonderful thing. I definitely recommend this book, which you can purchase from Amazon ($11.69 in paperback; $8.57 on Kindle). I received a free copy of this book in exchange for my honest review. 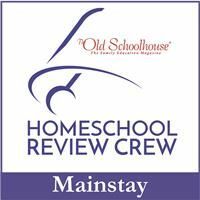 I was not required to write a positive review, nor was I compensated in any other way. All opinions are my own. I am disclosing this in accordance to FTC regulations.